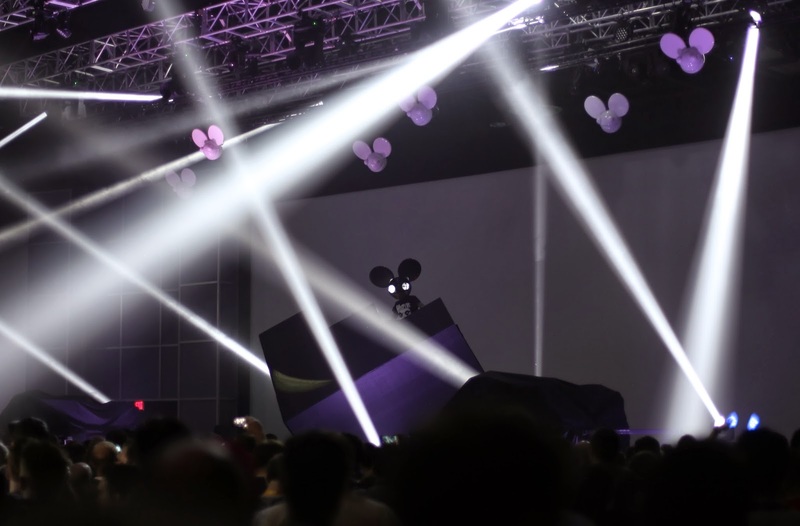 Progressive-house DJ deadmau5 performs to a lively crowd. Some of the music was excellent, other parts were repetitive and bordering on irritating. Later in the set, he brought out two industrial assembly robots (decorated with his logo) to dance and groove on either side of the booth. They were really good props!